Here are some frequently asked questions about CBD oil and queries regarding myCBD. Please contact us with any other questions and our team will be happy to answer you. CBD or cannabidiol is part of the composition of the hemp plant, which has begun to play a key role in several therapeutic treatments. CBD is one of the cannabinoids that are present in the plant. CBD oil is a medicinal plant product. Due to the ruling of the Court of Justice of the EU in case C-88/07 in which the free movement of goods and products made from medicinal plants that have been legally manufactured and marketed as food supplements is agreed in european countries. How much CBD do I need and how often should I use or take it? Our clients have confirmed that the dose and the ideal frequency can differ depending on the person/ illness. We have a cannabidiol calculator with which you can find out how many drops you should take. In the case that you are already taking some form of medication, you should always consult your doctor for dosage advice. Will I feel any psychoactive effect from the CBD hemp oil? No, CBD or cannabidiol is a non-psychoactive element. It also nullifies the psychoactive effect one would feel from THC. Our myCBD products contain less than 0.2% THC, so you will not feel any unpleasant psychoactive effects that are associated with THC. Is the CBD extracted from industrial hemp as good as the CBD extracted from marijuana? Yes. In fact, the CBD extracted from our cannabis is better than what is found in the marijuana plant. 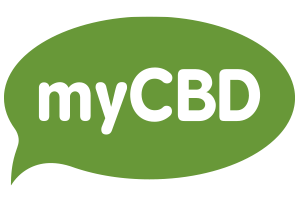 MyCBD contains high quality and pure CBD. Will I test positive on a drug test if I use myCBD products? No you will not test positive for THC if you take part in a drugs test as the oil contains less than the legal limit for THC (<0.2%). However if the test is focused on testing for all types of cannabinoids you will test positive as CBD is a cannabinoid. Are there traces of THC in the CBD oil? The myCBD products contains less than 0.2% THC. This means that the oils are within the legal limit for levels of Δ9-THC, according regulations. No. MyCBD is a dietary supplement, not a remedy that requires a prescription. Do you lab test the CBD Oil? Yes, we have a high quality procedure in place to test each batch of CBD oil. If you want to know the quality process, read more here. How long can I store myCBD oil and cream? We recommend that you only store the CBD oil for up to one year, while the CBD cream can be used or stored for a maximum of two years. Where do you obtain the oil from? We use a raw extract from the hemp plant which then passes through a rigorous process in our laboratory. We ensure that the oil is clean, safe and pure. Is myCBD made of hemp seeds? No, the myCBD products are made from hemp flowers. We ship all of our products to the following countries: Austria, Belgium, Bosnia and Herzegovina, Bulgaria, Croatia, Cyprus, Czech Republic, Denmark, Estonia, Finland, France, Germany, Greece, Hungary, Ireland, Italy, Latvia, Liechtenstein, Lithuania, Luxembourg, Malta, Netherlands, Norway, Poland, Portugal, Romania, Slovakia, Slovenia, Sweden, Switzerland and the United Kingdom. In some cases it will be necessary to issue an invoice so that customs can have evidence of the order. If this is the case, we will ask for an ID number or a tax identification number. For orders placed Monday to Thursday, our courier system will aim to deliver your products within 24/48 hours, if you are located in Spain. For international orders delivery time should be within 48/72 hours. If the order is placed after 12pm on a Friday or over the weekend, the products will be shipped on the following Monday. If I am interested in being a distributor for your products, what can you offer? If you are interested in knowing what we can offer you, leave your details in our contact form and Susana will be in touch with you in order to explain how you can sell our products. Why has my bank card been rejected? Because we can only send our products to countries in Europe, our payment gateway only allows payments with debit and credit cards from European banks. If you do not have a bank card from Europe, when you place your order, indicate that you would like to pay by bank transfer. As soon as your order is complete we will send you an email with the bank transfer details, so that you can make the deposit. My bank card is a European bank card, but the payment still hasn’t been accepted. What is happening? We have a secure payment gateway, which has an encryption system that only accepts cards that have 3D secure payment. For a payment to be processed in 3D secure mode, it is necessary for the bank card to be 3D secure and for the online store to support this type of payment method. This type of payment is used for myCBD, customers will also be required to enter their card number, expiration date and CVC number. Almost all of the newly manufactured credit/debit cards are 3D secure. For most old cards, the step to 3D secure will be automatic, or the consumer will be made to sign an additional clause in their contact, this should not require a change of card or any modification to the existing card. If you are in doubt, contact your bank to check if your card is 3D secure. On the myCBD website we have configured the payment gateway or POS with 3D secure payment, cards that do not meet this criteria will not be accepted, in order to protect our customers from fraud.